Robyn studied at the University of Maryland, College Park and received BA in 1987 Music for Voice with Piano as a support area. She has over 25 years professional choral and solo singing experience, performing in the DC Metropolitan area at churches such as the Basilica of the National Shrine of the Immaculate Conception (with Dr. Leo C. Nestor, Director), the Old Presbyterian Meeting House ( Dr. Wayne Earnest, Director), and St. John the Beloved (Dr. David Lang, Director) to name a few. In addition she performed on the professional CD recordings “A Child is Born” (1988) and “I Sing of a Maiden” (1999) both directed by Dr. Nestor. Robyn has performed in musicals, recitals and operas too. She has found her calling in sharing her piano and vocal knowledge with her students. This will be her 6th year with Music & Arts, and brings over 19 years of teaching experience with her. 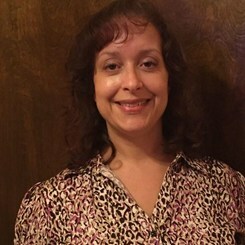 Robyn Troncoso is married with 4 daughters and lives in Burke, VA with her family. Request Lessons with Robyn Troncoso today!